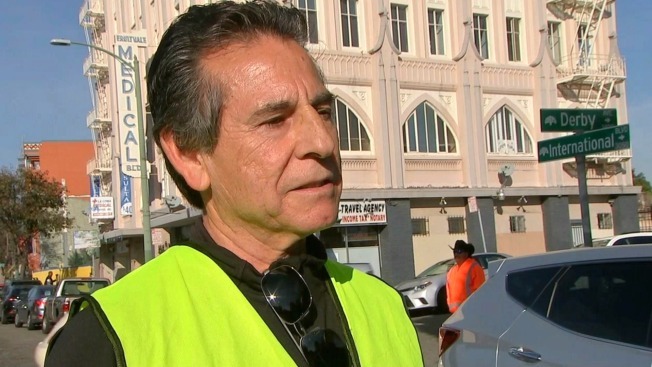 Oakland City Council member Noel Gallo, who represents the city's Fruitvale neighborhood where the deadly warehouse fire ignited Friday, is clamoring for increased code enforcement in addition to permit and property policing following the tragedy. Gallo said that he has received multiple complaints about the "Oakland Ghost Ship," which housed an unknown amount of people during an electronic dance music event before the fire, but claims his efforts to clean up the area and protect residents were unsuccessful. "I am not going to make excuses for the city because we have documented, we have turned it in, we have called it in," he said. "I have brought personally the police in front of it to shut that place down and to get them to remove that debris." The Oakland Planning and Building Department launched an investigation into the habitability of the warehouse less than a month ago, citing an "illegal interior building structure," the NBC Bay Area Investigative Unit learned. Officials believe that a number of residents were housed in the structure illegally and Oakland Fire Chief Teresa Deloach Reed reported that fire sprinklers and smoke detectors were not found on the premises. As for who is at fault for the fatal fire, Gallo called out the city as well as placing part of the blame on the property owner, who has been identified as Chor Ng. "He was negligent," Gallo said. The family of Ng, who said the warehouse was built to code, offered a statement to NBC Bay Area on Saturday. "I’m sorry but we do not have any comment, we are also trying to figure out what’s going on like everybody else," the family wrote to the NBC Bay Area Investigative Unit. "We’re so sorry to hear about the tragedy. Our condolences go out to the families and friends of those injured and those who lost their lives." Gallo is begging the city of Oakland to increase its vigilance of the activities taking place in every neighborhood so that an event of this magnitude never happens again. "I mean for young people and anyone else to lose their lives that way, it was preventable," he said.